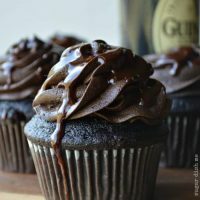 These Death by Chocolate Guinness Cupcakes are rich and decadent, loaded with stout beer and Irish whiskey. Because these cupcakes left me kind of speechless. If you are making treats for Valentine’s Day, these need to go to the top of your list. They are. Insane. I turned these little devilish things out over the weekend for my brother’s birthday. He’s a chocolate on chocolate cake kinda guy, so I knew going in that I was heading in a delicious super chocolate direction. Baking with beer is something I’ve wanted to try for awhile now and I figured my brother’s birthday was a perfect opportunity to play with that concept a little bit. Plus his birthday falls on the week of Valentine’s Day, so booze-soaked dessert seemed sort of appropriate. I’m pretty sure Chad would be thrilled if I made these over and over and over again. 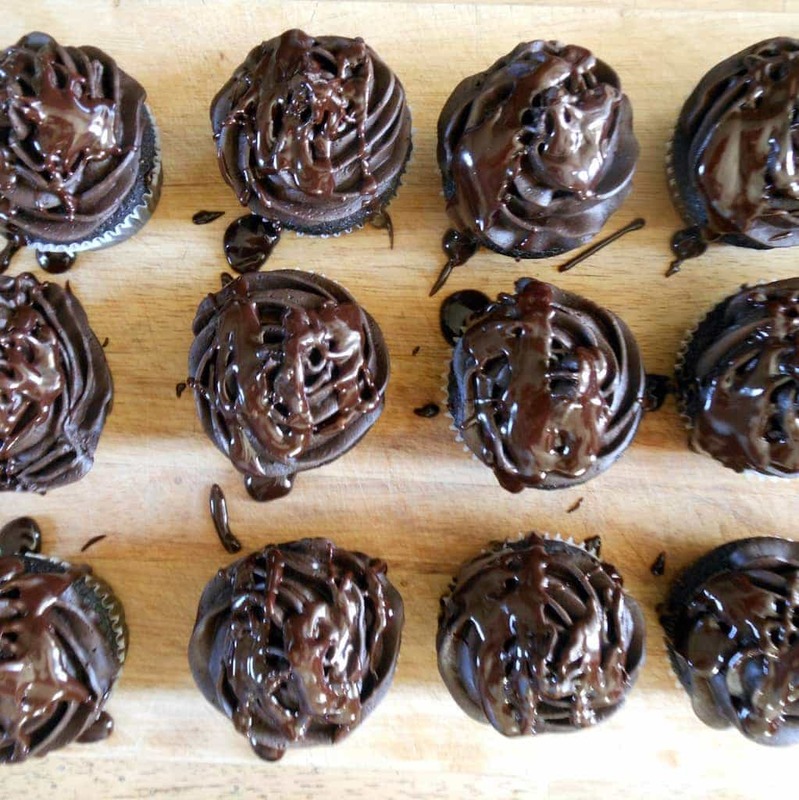 These are guy-friendly cupcakes. The cake is pretty similar to this Sour Cream Fudge Cake recipe. Crazy moist and rich. The Guinness has notes of chocolate and espresso in it anyway, so it complements the chocolate cake in a pretty great way. I think that the Whiskey Chocolate Ganache on top was my most favorite part. I’m pretty sure I’ll be putting it on all kinds of things. Some that make sense like WAFFLES. And some that don’t like… ummm well, I can’t actually think of anything. 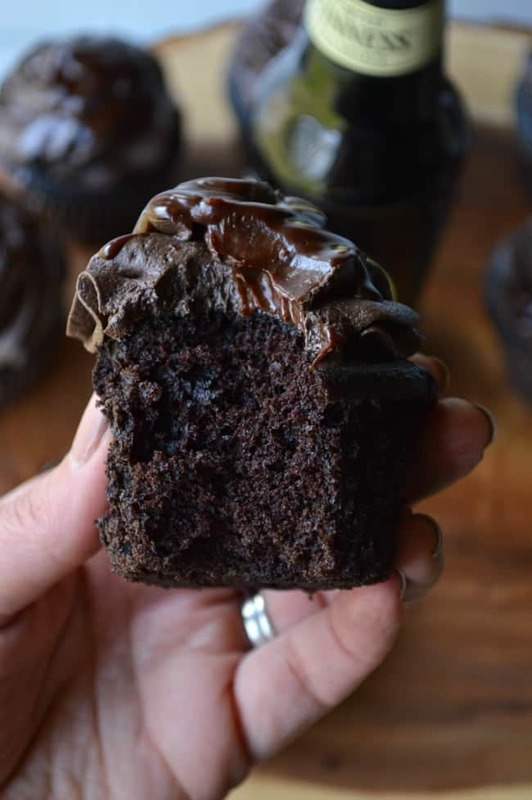 These Death by Chocolate Guinness Cupcakes are rich and decadent, loaded with stout beer and Irish whiskey Text Here"
Preheat the oven to 325°F. Line a muffin pan with paper liners. In a large bowl whisk together the flour, sugar, baking soda, and salt. Set aside. In a medium saucepan, melt the butter. Stir in the Guinness and bring to a simmer. Remove from the heat and whisk in the cocoa powder until smooth. Let cool slightly for a few minutes. While the chocolate/butter/beer cools, using an electric mixer on low, beat the eggs and sour cream into the flour mixture. Pour in the chocolate and continue mixing until combined, about 1 1/2- 2 minutes. Distribute the batter evenly between the muffin cups. Bake for 15 minutes, or until a pick inserted into the center comes out clean. Let the cupcakes cool completely. To make the chocolate buttercream, beat the butter for a minute until it's fluffy. Sift in the powdered sugar 1/2 cup at a time, beating a little in between each addition. Sift in the cocoa powder and beat until it's combined. Add the salt, vanilla, and 2 tablespoons of the heavy cream. Continue mixing until smooth. Add the last 2 tablespoons of heavy cream (or Bailey's; see note), more if needed, to reach the desired consistency. To make the chocolate whiskey ganache, heat the heavy cream in a small saucepan until it simmers (be careful not to burn!). Remove from the heat and stir in the chocolate chips until smooth. Whisk in the butter. Then whisk in the whiskey. 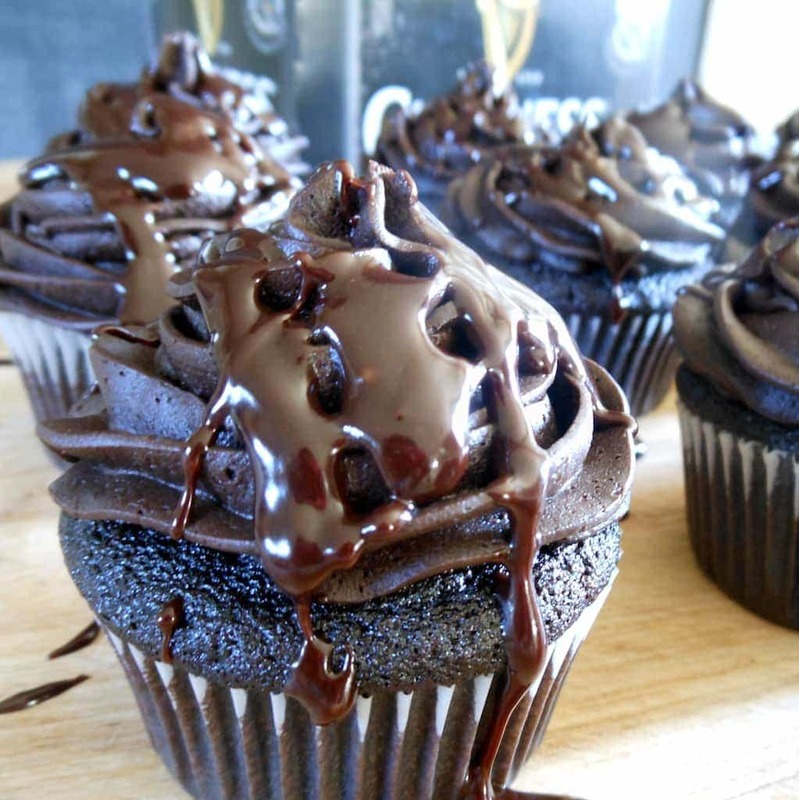 Drizzle the ganache over the frosted cupcakes. Let it cool and set before serving. 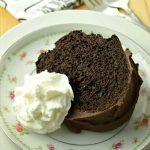 When making the chocolate buttercream, you COULD make it chocolate Bailey's buttercream by using 1-2 tablespoons of Bailey's Irish Cream Liqueur in place of 1-2 tablespoons of the heavy cream. Chocolate Guinness Cupcake Recipe slightly adapted from THIS recipe at Brown Eyed Baker (her cupcakes are filled and call for a different frosting and look yum-mmmmy). Whiskey Chocolate Ganache is from the same place. The Chocolate Buttercream is from my favorite chocolate buttercream recipe (You may remember it from HERE) found at Savory Sweet Life via THIS link. I was gonna ask you for that recipe because I remembered you making those before! No Guiness in my frosting here but I’d still like to try your recipe! We loved these things. Chocolate errywhere. Oh! I forgot to ask— did you win? These cupcakes were insanely good. Did you post the recipe for the Nigella ones? P.s. I am chomping at the bit for that bread you teased on Facebook earlier!! I want them I want them I want them I want them…!! Lucky brother!! 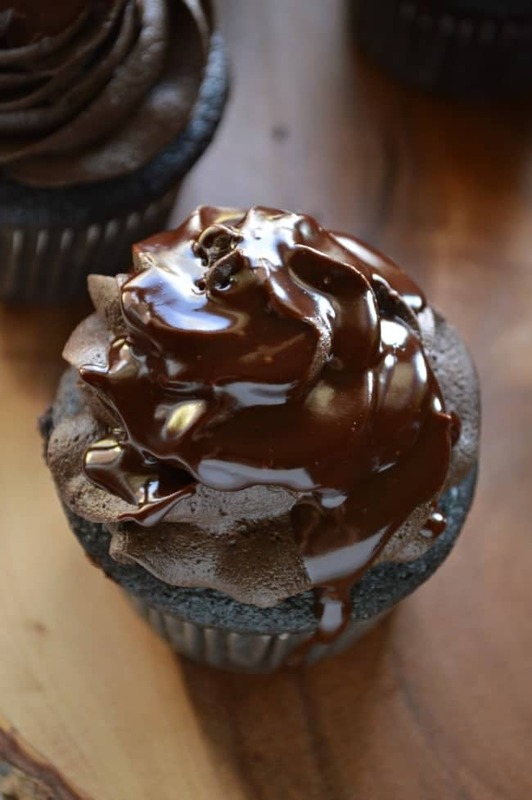 These look amazing and rich and basically everything you want in a chocolate cupcake. 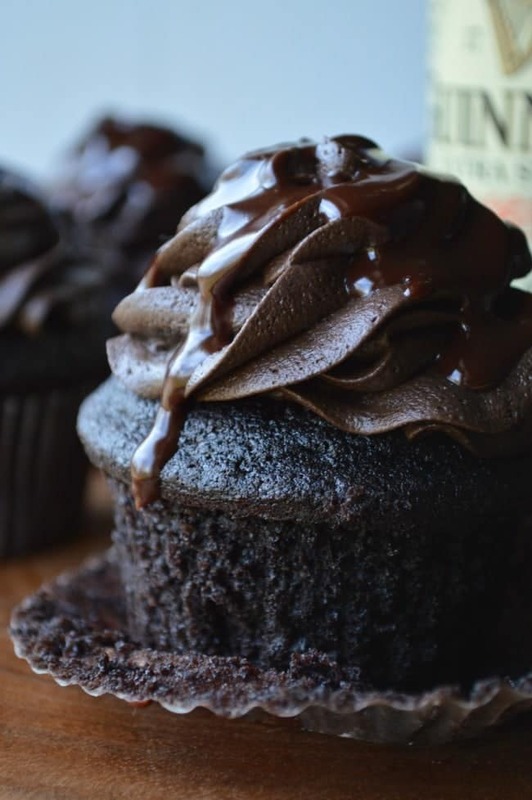 Chocolate Bailey’s buttercream…yes, please! What brand of cocoa do you use?? Well done, my friend! Hey, Allison! Um actually I use what’s on sale. I used Hershey’s Special Dark here. It’s a dutch process blend and is easy to find and tastes delicious 🙂 Ghirardelli makes awesome cocoa powders, too! YUM! 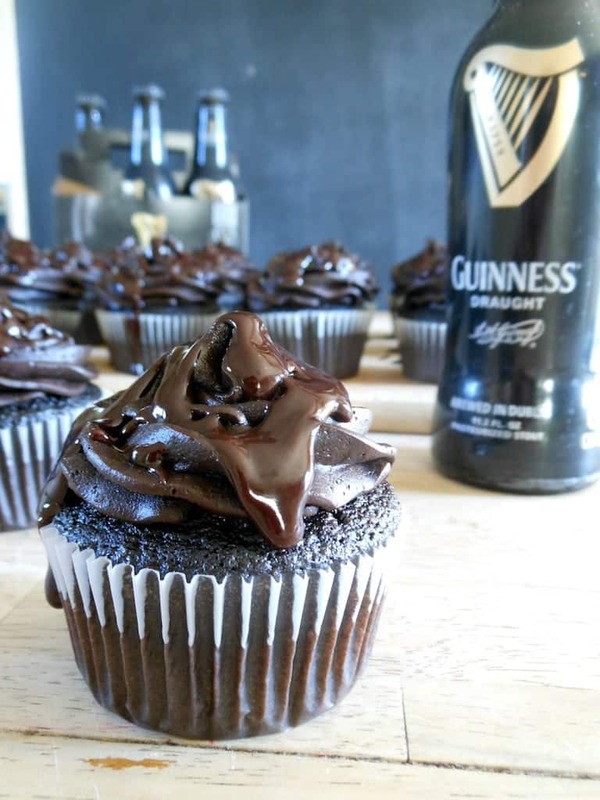 I have been making a Guinness cupcake for years, often with an Irish Creme or Jameson frosting. People are VERY appreciative when these show up at a party. Thanks for sharing! Hey, Amber! The cupcake recipe here came from Brown Eyed Baker– I just adjusted the method a little bit. 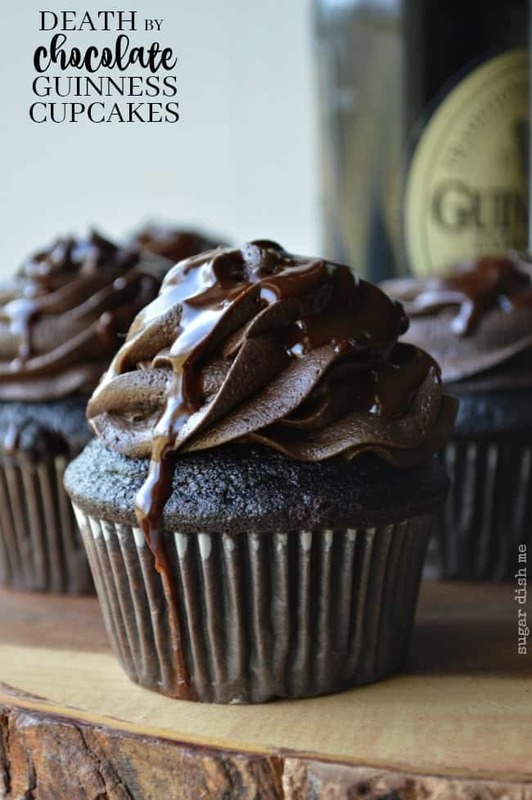 My friend Michelle (who left a comment here somewhere… :))shared a Guiness cupcake recipe last year and it’s been in my head ever since. You’re totally right– the reception was awesome. Thanks! Hey Sandra!! These seemed brother-birthday appropriate to me. I could have saved them for St. Patty’s week but baking with beer and putting whiskey in the chocolate seemed like a V-Day Man Dessert to me. So here it is 🙂 I seriously could have eaten the whole bowl of buttercream. You have no idea. Holy cow. If there’s one awesome thing in this world, it’s when booze and dessert get married and have an awesome, tasty child. (I swear I’m not a cannibal). These cupcakes look ROCKING. Thanks! I’m all about booze in my dessert. Hey, Bam! Askimet keeps spamming your comments… I just found this! I had no idea it was national chocolate day, but these are DEFINITELY a good way to celebrate just about anything!! Heather, I didn’t realize this was your recipe until I went to print it out….I too love to cook with booze, whether sweet or savory! Going to try this soon, since I just bought muffin tins! Your pictures look terrific and I love the way the frosting shines! Can’t rate a recipe until I try it…but I am betting it will be a fiver@ Thanks! Thanks, Michelle!! These cupcakes were a hit. Can’t wait until I have an excuse to indulge in this much chocolate again. Let me know how you like ’em!! Oh my these were soooo very yummy! I made these for my husband’s birthday. I threw him a surprise party and they were a huge hit! Thanks so much for the recipe. I can’t wait to make them again. Yayyyyy! That’s awesome, Lauren!! Surprise parties are so FUN!!! 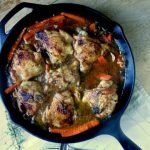 It is maybe my favorite thing ever when people use my recipes and report back. And happy belated birthday to your other half!! Love the combination of chocolate and Guiness. these look awesome. Thanks so much Peter! These are probably my favorite cupcakes ever ever in the world! These cupcakes look awesome! Definitely going to try your recipe. My favorite part is that you only use 1 cup of Guinness. That leaves leftover to drink while baking. Leftover to drink is crucial. I ADORE this recipe. You’ll love it. Cheers to boozy baking! These cupcakes are IN. SANE. Huge hit! 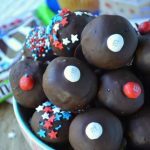 Can this recipe be made as a cake? yay! So glad you loved them! 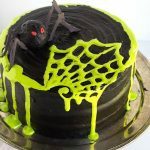 I have never made them as a cake but I am sure that if you just play with the bake times you can pull it off!